You must make reservations at least 5 minutes in advance of the time at Cafe Jardin at Sherman Gardens. There is a parking lot at the rear of Sherman Gardens. Please note that a $5 per person entrance fee is required to Sherman Gardens. Semi-Private area seats up to 120 Guests. 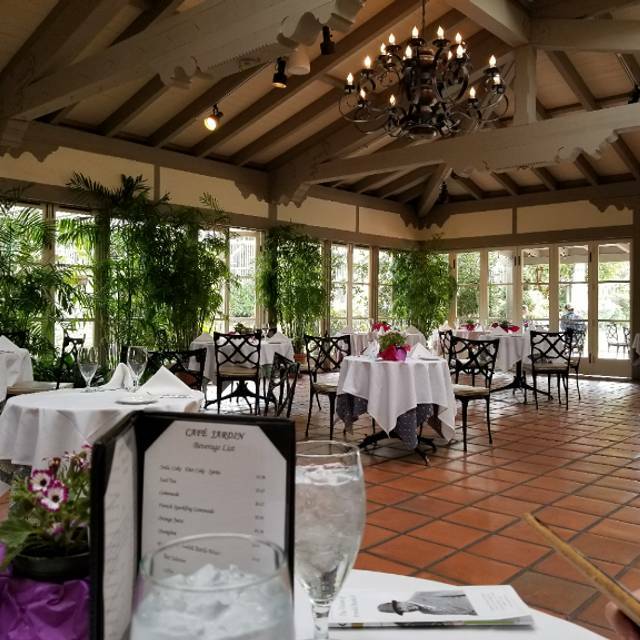 Dine in a “hidden oasis” among a serene paradise garden setting featuring a lite French and Mediterranean luncheon fare at Sherman Gardens. Enjoy soft breezes and spectacular foliage for outdoor dining, or dine inside the Great Room surrounded by glass door walls, a mosaic fireplace, exposed beams, and Spanish tiled floors. The dining area is available for private parties, banquets for up to 175 people, and Pascal is the exclusive caterer for Sherman Gardens, home of many spectacular weddings. We also offer Sunday Brunch. 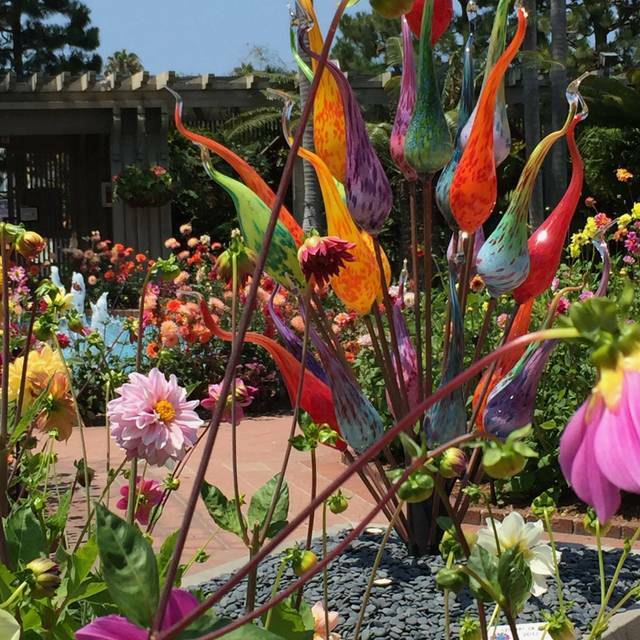 There is a $5 admission fee to enter Sherman Library & Gardens. Members are free. Excellent menu and cuisine. Portions stingy. Nice place to sit and relax. 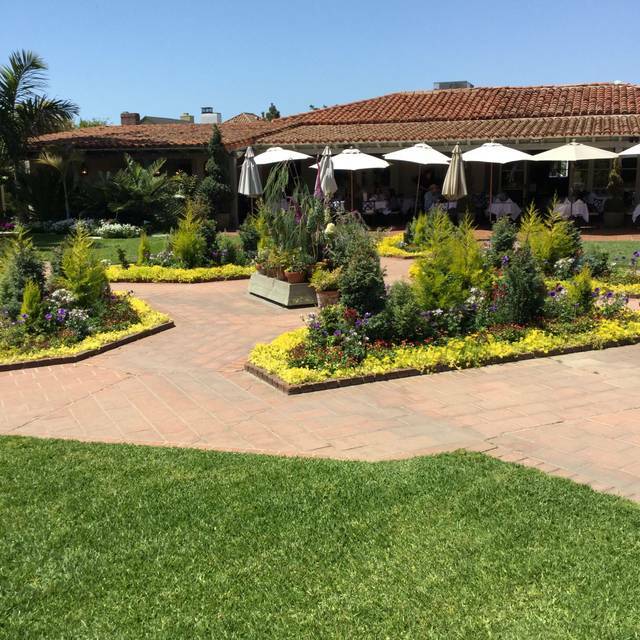 Beautiful gardens, excellent food, good service. We celebrated the 80th birthday of a colleague and friend, so I chose this restaurant intentionally. I’ve been there number of times and love it. This is one of my favorite restaurants. Before I was making reservations calling the restaurant directly. Booking through Open table was even more convenient. I ordered the trout almandine, creme brûlée for dessert and we had champagne. This is one of the nicest al fresco dining experiences in Orange County. Wonderful food - our party had a variety of dishes and all were excellent (and we eat out a lot). The gardens couldn't have been a more beautiful backdrop for our meal. The staff could not have been more accommodating. This is one of my favorite restaurants. I always bring out-of-town guests and then they have thr pleasure of roaming through the gardens. We enjoyed a delicious lunch in the most beautiful garden. It was a perfect way to spend the afternoon. If you enjoy a classic calif. coast al frescoe dining experience, this is the place. Sublime food, great service, and most of all a very friendly staff that made our afternoon most enjoyable. And oh those gardens. It was the perfect setting for a family visit with out-of-town relatives. Patty was wonderful on the phone, but the waitress was not as friendly. The menu is very limited, portions small and a little pricey for what you get. But the gardens are glorious and we could stay and talk as long as we wanted. Lovely afternoon. Sherman Gardens always serves a beautiful and delicious meal. 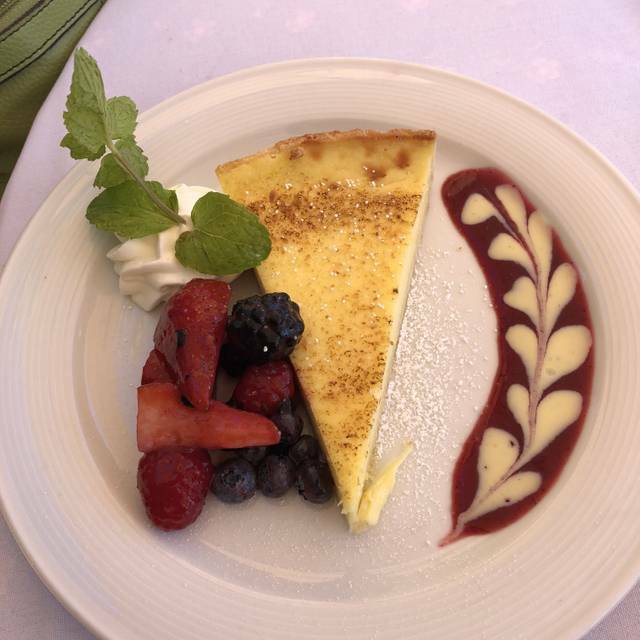 The flowers are in full bloom and added to our dining pleasure. A very pleasant, relaxing place to have quiet lunch. Everything I have tried on my two different visits has been delicious. Cafe Jardin is the perfect place to meet a friend and linger. Fresh, healthy ingredients and friendly staff make this destination a cut above the rest. Lovely setting with average service and fair food. Expensive. Lunch was great, the service excellent. We'll certainly be back. Our table was ready. It was a cold day and it was so cold inside that I wore a down coat. The server was attentive. My companion and I both had the soup du jour (mushroom) and it was delicious. I ordered the bistro meal (soup plus quiche or a salade LYonaise). The salad was swimming in a caesar like dressing. Very disappointing. Café Jardin is exceptional. It's located in the Sherman Library and Gardens. 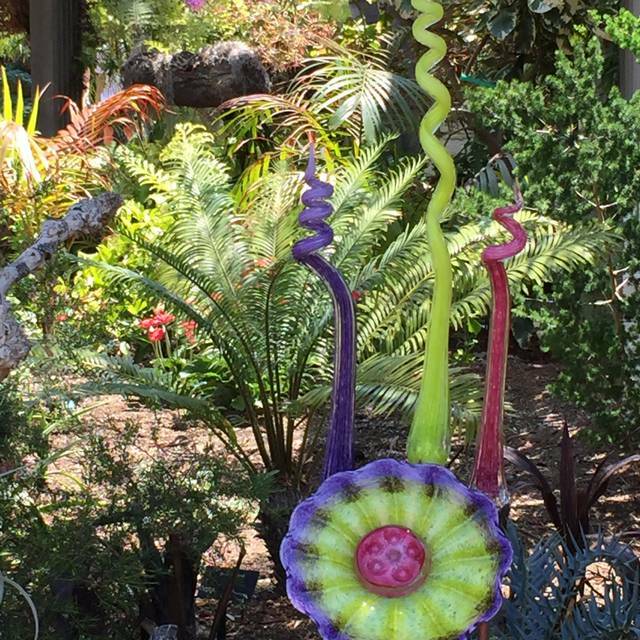 If you're in the area make a reservation, enjoy the gardens and make it an outing. Husband and I enjoyed Valentine's dinner at Cafe Jardin. Classic Pascal fireside dining experience. WE loved it! Classic gourmet French food, with Edith Piaf serenading quietly in the background. Sherman Gardens is a beautiful oasis in the city. We were in S California 5 weeks and a college friend took me there. I was enchanted by the atmosphere, delicious food and escape from the noisy restaurants . I took my husband back on Monday. Also loved the classical music. Just excellent The new salmon dish is incredibly tasty! After our day-adventure, a friend and I decided to dine here during the latter half of our visit. While the layout of the green space managed to lure us into a mindfulness, the ambience beautifully introduced me to the dining space with its various greenery/blooms/decorations. The food was nutritious, delicious, aesthetic, the experience was intimate yet open; the service was positive & professional. Smooth vibrations. Enjoyed lunch and conversation. A walk in the garden is a must. Loved it. Thank you. This is a wonderful setting for an afternoon brunch. Might be a little cool for some as there was no indoor seating. Thought the food, though nicely presented, was a little on the bland side. Spicy lamb was not that spicy, the trout though deboned properly did not have much flavor. Thought the wine selections though limited were very good. I would recommend this place even though my review of the food is less than great just for the setting. You can also wander through the outstanding gardens and library for an afternoon constitutional. Food was very delicious but the menu only had a few select items and mostly seafood. The gardens are beautiful and sitting outside was relaxing and made lunch ver special. The service was wonderful. Lovely setting..surrounded by garden. Lunch was beautifully presented and delicious. The Apple tart was amazing! 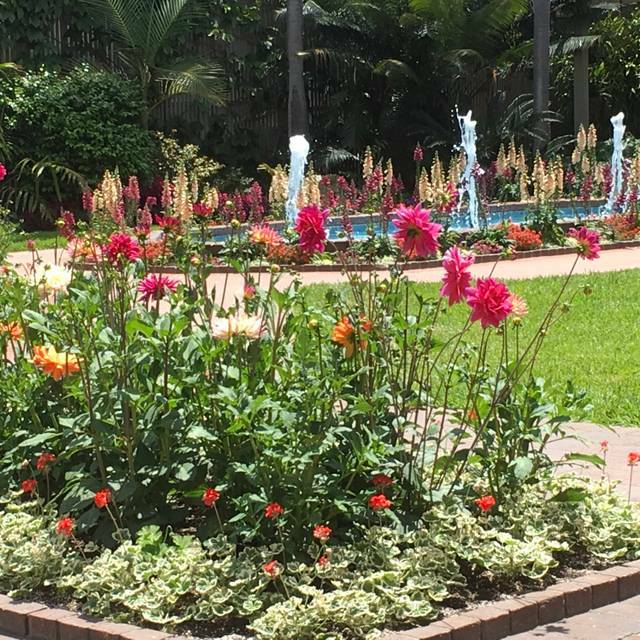 Sherman Gardens is a beautiful spot to escape the chaos of Orange County, it’s just a shame that El Jardin doesn’t deliver an equally rewarding experience. My friend & I had the chicken salad. I had to send mine back because the chicken was not cooked (it was obvious that parts were still raw). When the salad returned, they had added some ingredients (cut up salami, yes really & extra tomatoes.) The chicken, however was still very suspect. I removed over half of the chicken & are the salad. The lunch for 2 people, 2 small chicken salads, 2 ice teas & one piece of flourless chocolate was $60. Ridiculous for the quality of food that was served. I’d recommend seeing Sherman Gardens but go elsewhere to eat. 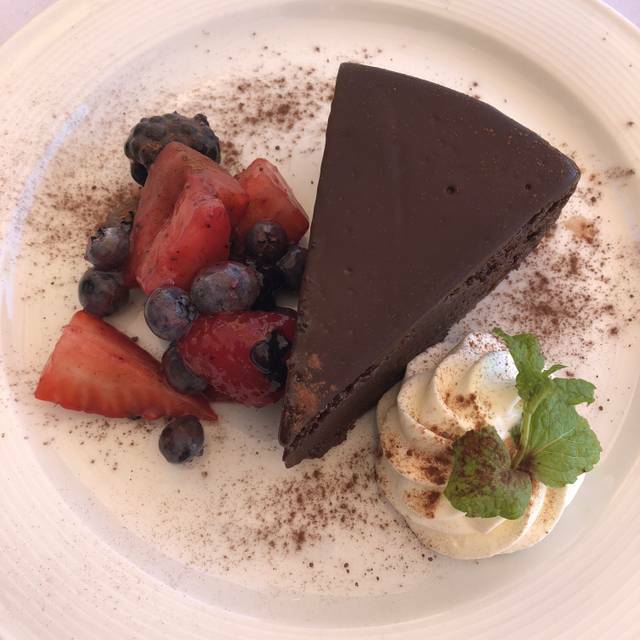 Food is delicious and the desserts amazing! Background music enjoyable and not too loud. View of the grounds adds to the dining experience. This was my 4th or 5th time here for Lunch since moving to the OC about 3 years ago. In the past, the setting has been lovely, the food good and the service quite pleasant. This time I brought 2 friends from out of town for lunch. The setting was still lovely, although there was a table behind us with people who were laughing so loudly and boisterously, it was hard to hear each other. The service was unbelievably poor. We barely sat down when we were asked to order because according to the waitperson, they "needed our menus". We ordered and returned the menus. We had to ask 3 times for someone to take our drink orders. After the food arrived, I realized there was salami in the Chicken salad I ordered...probably because I didn't have time to really read the menu...I politely said, I don't eat salami , may I see the menu to order something else. I was told quite curtly, that the menu said salami and couldn't I just take the salami out. I declined. The wait-person then asked rather than seeing a menu, did I want a new salad without salami. That sounded fine. The salads were tasteless , very small for a Lunch salad entree, and very dry( hardly any dressing).We were never checked on while eating, my iced tea was never refilled and never asked if we wanted dessert (we went elsewhere for dessert). This was a very disappointing experience and most likely, I will not return nor do I recommend this restaurant. Even though I have lived nearby all my life, I had never been to Sherman Gardens before! I took a dear friend here for her retirement celebration and we both felt as if we had a mini-vacation! The gardens are beautiful and serene and the lunch was outside on a covered patio which was delightful. The library is quite interesting and the gift shop well stocked with attractive items. I will defiantly return! This place is truly a hidden gem. The most beautiful outdoor spot! The food was simply a work of art and was VERY delicious!!! My hats off to the chef! I am now your loyal customer. The food and service was spectacular! Went for Sunday brunch, the menu offered lots of lovely options and the food was delicious. Started with a beet salad followed by the most delicious cheese omelet. The main course was a tender steak over risotto with mushrooms. It was flavorful and beautifully presented. Finished off with a lemon tart. If you haven't treated yourself to brunch and a stroll through the gardens do it soon! Overall the lunch was ok my quiche was made fresh the crust was nice and crisp, the bag of salad was not ok......I expected a handmade salad to accompany my quiche. My daughter and granddaughter ordered only salad which was put together by hand,they said it tasted good. The small loaf of white bread served was apparently baked in the kitchen and totally burned on the bottom and not edible. I was really not impressed by our lunch as I have visited many times in the past and have had much better. Sorry. 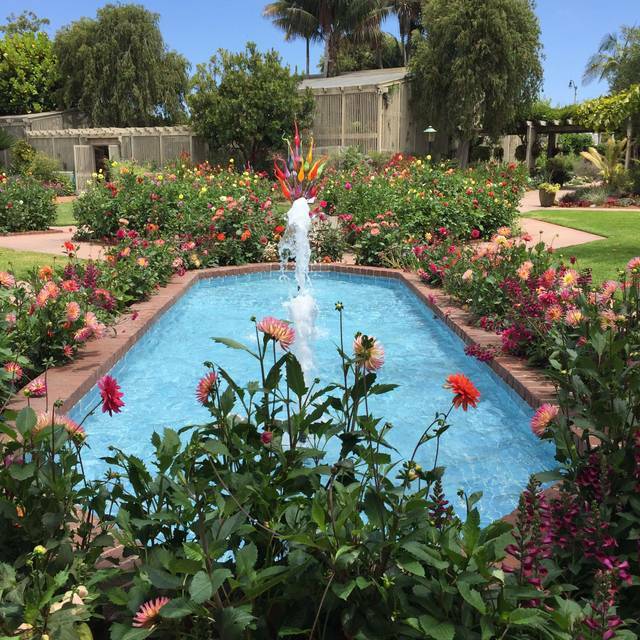 Drove all the way from San Fernando Valley to Corona del Mar for tour of Sherman Library and Gardens; gorgeous day and we had a lovely lunch and tour; worth the drive. It was my sister's 75th birthday. 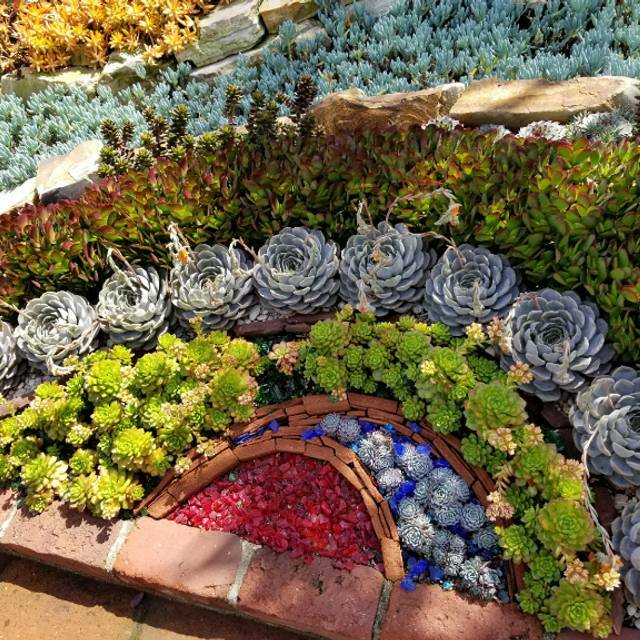 Beautiful garden and delicious food and great service. My friend and I decided to revisit Cafe Jardin as we had such good experience before. We were there yesterday and to our surprise, we have to pay $5 for entrance fee??? We didn't pay the last time because the lady told us as long as we had reservation, there will be no entrance fee. Why change?? In order to attract more diners to restaurant, the park should waive off $5 or maybe charge lesser for diners. The gardens are an especially serene setting for a Sunday brunch. My husband and I were married here 2 years ago so we decided to have brunch as part of our anniversary celebration! We had a fantastic time! The brunch was super tasty and service was prompt and so nice and accommodating. They were also able to make me a vegetarian option for my main course!